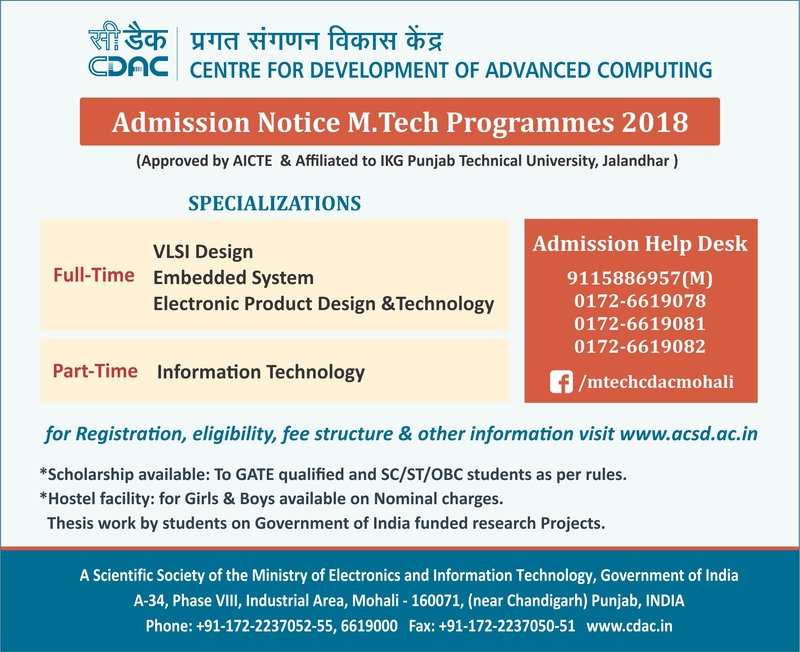 Register yourself on the website of the Centre through link “Register for Direct Admission of M.Tech” provided at top left corner of the site. Faculty members have been recognized at National/International level for their research and publication. Hostel Facility for Boys and Girls separately on very nominal charges. Three Time winner of INNOTECH in Model Making at Pushpa Gujral Science City. Residence Certificate and Original Degree / Provisional certificate of passing B.Tech / B.E. examination. Detailed Marks Card of the qualifying examination. Reserved Category / Sub-category Certificate issued by the Competent Authority, if applicable. Five recent passport size photographs.